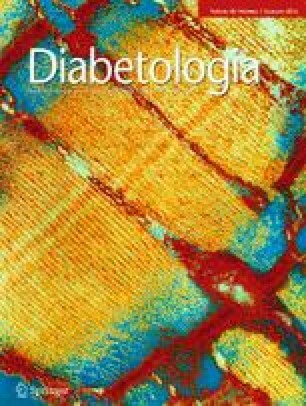 Type 1 diabetes results from T cell-mediated destruction of pancreatic beta cells. The mechanisms of beta cell destruction in vivo, however, remain unclear. We aimed to test the relative roles of the main cell death pathways: apoptosis, necrosis and necroptosis, in beta cell death in the development of CD4+ T cell-mediated autoimmune diabetes. We altered expression levels of critical cell death proteins in mouse islets and tested their ability to survive CD4+ T cell-mediated attack using an in vivo graft model. Loss of the B cell leukaemia/lymphoma 2 (BCL-2) homology domain 3-only proteins BIM, PUMA or BID did not protect beta cells from this death. Overexpression of the anti-apoptotic protein BCL-2 or combined deficiency of the pro-apoptotic multi-BCL2 homology domain proteins BAX and BAK also failed to prevent beta cell destruction. Furthermore, loss of function of the death receptor Fas or its essential downstream signalling molecule Fas-associated death domain (FADD) in islets was also not protective. Using electron microscopy we observed that dying beta cells showed features of necrosis. However, islets deficient in receptor-interacting serine/threonine protein kinase 3 (RIPK3), a critical initiator of necroptosis, were still normally susceptible to CD4+ T cell-mediated destruction. Remarkably, simultaneous inhibition of apoptosis and necroptosis by combining loss of RIPK3 and overexpression of BCL-2 in islets did not protect them against immune attack either. Collectively, our data indicate that beta cells die by necrosis in autoimmune diabetes and that the programmed cell death pathways apoptosis and necroptosis are both dispensable for this process. We thank the following people: J. Allison (St Vincent’s Institute, Fitzroy, VIC), J. Silke, P. Bouillet, S. Cory, J. M. Adams, W. Alexander, J. Murphy (all WEHI, Parkville, VIC), A. Villunger (University of Innsbruck, Innsbruck, Austria), S Hedrick (UCSD, San Diego, CA), A Powers (Vanderbilt University, Nashville, TN), D. Mathis (Joslin Diabetes Center, Boston, MA) and K. Newton (Genentech, South San Francisco, CA) for gifts of mice; O. Kanagawa (Osaka University, Osaka, Japan) for BDC2.5 antibody; S. Thorburn, T. Smith, E. Duff, D. Novembre-Cycon, R. Branch and A. Gomes (St Vincent’s Institute, Fitzroy, VIC) for genotyping and animal husbandry and S. Ellis, S. Asquith and J. Danne (all Peter MacCallum Cancer Center, East Melbourne, VIC) for electron microscopy. These data were presented as an abstract at the Immunology of Diabetes Society meeting in 2013. This work was funded by a National Health and Medical Research Council of Australia (NHMRC) and Juvenile Diabetes Research Foundation (JDRF) joint special program grant in type 1 diabetes, program grants (HET, TWHK and AS) and fellowships from the NHMRC (HET and AS), a Leukemia and Lymphoma Society SCOR grant (AS) and a Postdoctoral Fellowship from the JDRF (YZ). The St Vincent’s Institute and The Walter and Eliza Hall Institute receive support from the Operational Infrastructure Support Scheme of the Government of Victoria. This work was made possible through a Victorian State Government OIS grant and an Australian NHMRC IRIIS grant. YZ, NAS, SF and LE performed experiments, analysed data and critically revised the manuscript. YZ, NAS and HET designed the study and wrote the manuscript. WWW, KDM, AS, DCH and TWHK contributed reagents, contributed to conception, design and interpretation of this work and critically revised the manuscript. All authors approved the final version of the manuscript. HET is responsible for the integrity of the work as a whole.